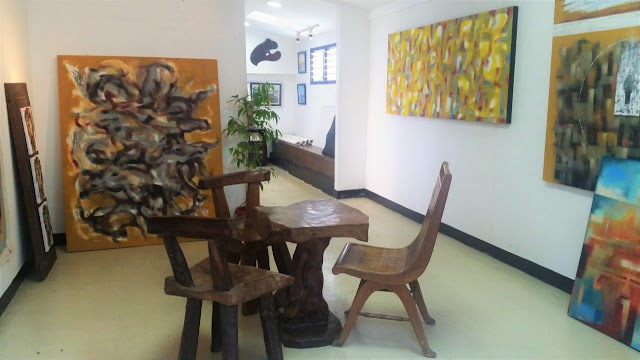 If you're in Manila and looking for a nice day trip, consider Angono, the Philippines' art capital. 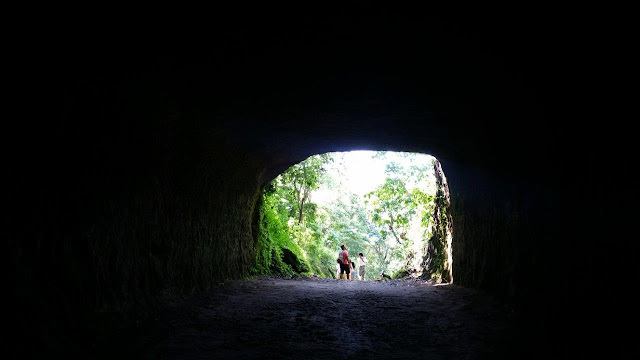 Located in the province of Rizal, it's only 1-2 hours away (depending on traffic) and easy to reach either by public or private transportation. With most galleries and restaurants close to each other, it's an ideal destination for food and art lovers who have limited time. Here are some of the art galleries and other places I visited recently with my fellow bloggers. 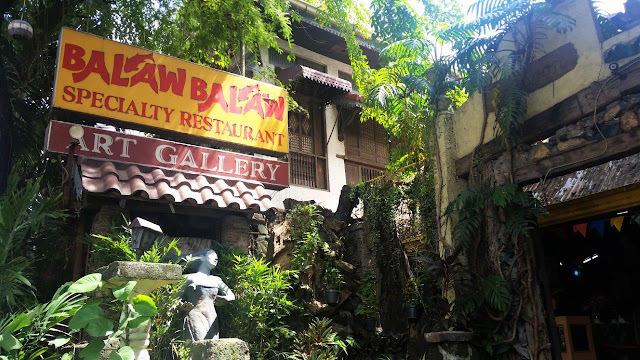 Though Balaw Balaw is popular as a specialty restaurant serving exotic and folk dishes, their gallery is also worth a visit! It features paintings and sculptures from members of the Vocalan family and other local artists, showcasing Filipino folklore and traditions. Do try out their adventurous dishes while you're there! Crickets anyone? Built on a 1,200 meter lot in 1980, this museum houses a collection of more than 400 artworks by all nine members of the Blanco family. Their works highlighted Filipino culture and tradition using realism,a style depicting real life. They've mastered it so well that staring at a painting infuses a dose of inspiration to its viewer. 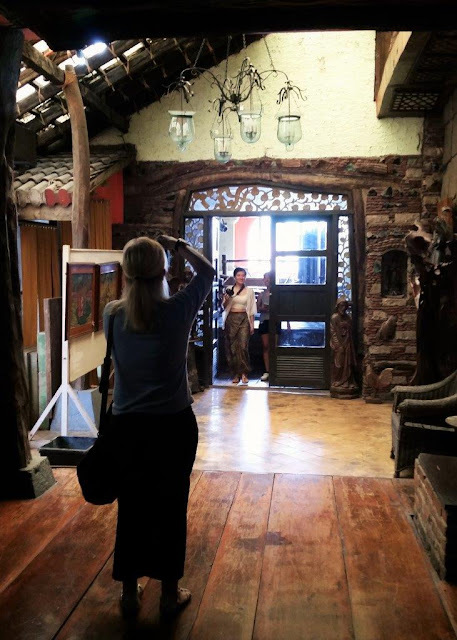 With the wide pool of artistic talent in the family, it's no surprise that the Blancos became the first to stage a family exhibit at the National Museum in 1978! Going around, visitors can witness the progression of each artist, with the paintings arranged in different galleries starting from the youngest of the siblings, Peter Paul (born 1980), followed by Gay, Jan, Joy, Michael, Noel and Glenn, then on to their parents, Loreto, their mother who began painting at 48 years old and the patriarch who started it all, Jose "Pitok". Each gallery of the siblings contains their works as children up to the time they grew up. It was amusing to see how each sibling evolved in terms of technique! 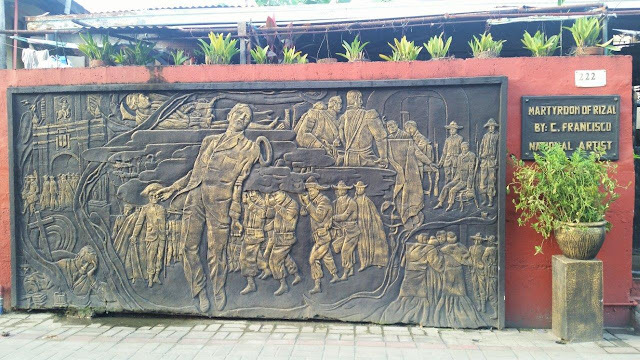 In 1973, Carlos "Botong" Francisco (November 4, 1912 – March 31, 1969), a notable muralist from Angono was conferred posthumously as a National Artist for Visual Arts. 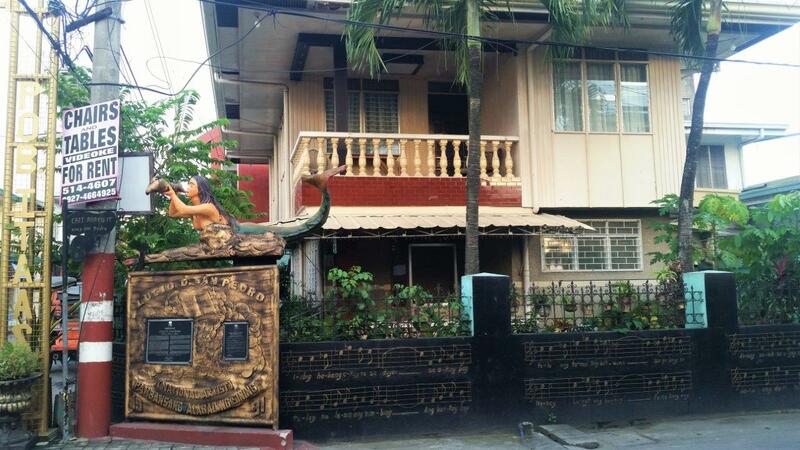 When he was alive, his former residence along Dona Aurora Street also served as his studio. 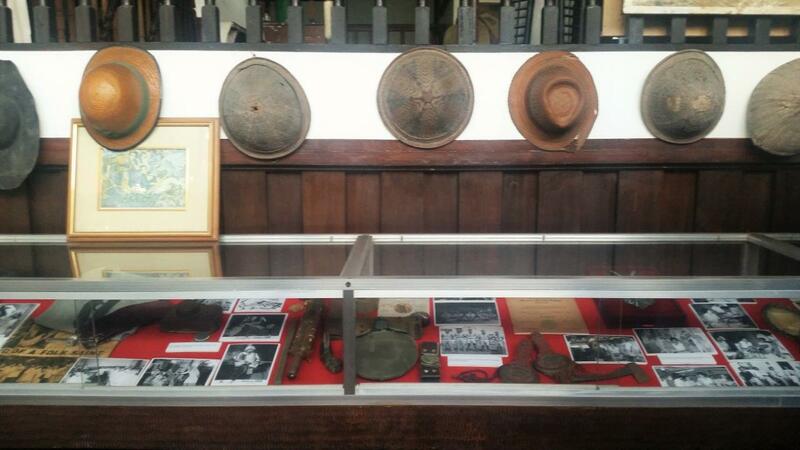 Now under the care of his grandson, Totong, also an artist, visitors of the gallery can view Botong's memorabilia including his old tools and the medal awarded to him as a National Artist. Totong's works are also displayed near the entrance of the gallery. Entrance Fee : Donation only. 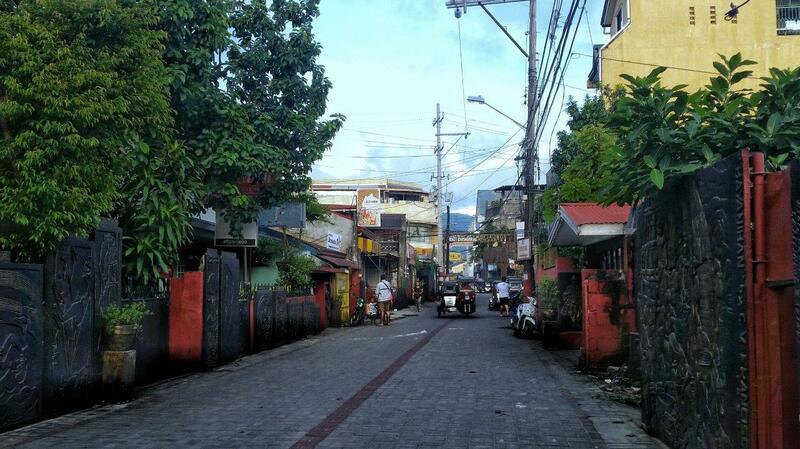 The street that served as Botong Francisco's old residence is lined with murals featuring replicas of his works, created as a tribute by Charlie Anorico and other local artists. At the end of the block is a mural honoring another National Artist, Lucio San Pedro, a notable musician. Featured on a wall of a house are the lyrics to one of his works, "Sa Ugoy ng Duyan". Tricycles regularly pass through this narrow street. Be careful when taking photos of the murals! It would be nice if they can limit the vehicles to residents. As this is an open street, you can pass by at any time. No fees are being charged to visitors. Best to come early in the morning or late in the afternoon to avoid the heat or bring a cap or umbrella. 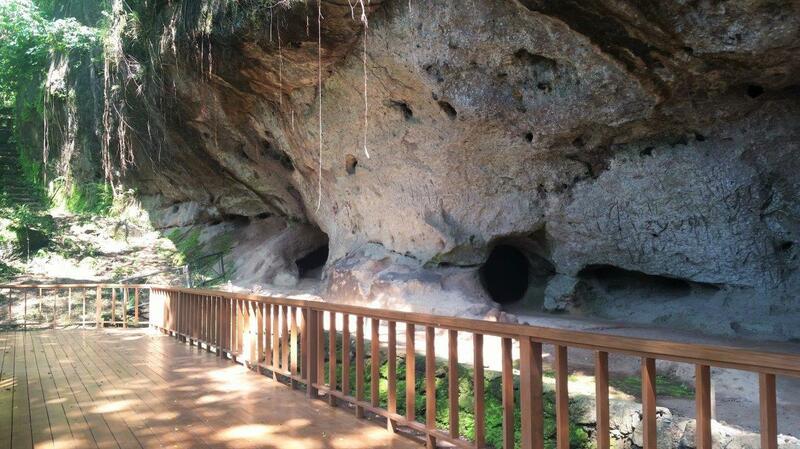 Travel Tip: Apply some insect repellent when you come here. Read more about it on Celineism's blog. Located in an old forest, the rock shelter where the drawings were found was used by Filipino guerillas during World War II and was a serendipitous discovery by National Artist, Carlos "Botong" Francisco. He was on a field trip with a troop of boy scouts when their group stopped for a rest. While lying down, he noticed the engravings on the rock and reported it to the National Museum in 1965. The 127 drawings, in a shape similar to frogs and lizards were engraved on a rock shelter and is officially recognized as the Philippines' oldest known artwork. From Angono town proper, hire a tricycle towards the site. As the road is steep, not all tricycles may be willing to climb up all the way to the entrance so be prepared to walk. Entrance fees : P20 for adults | P10 for students. 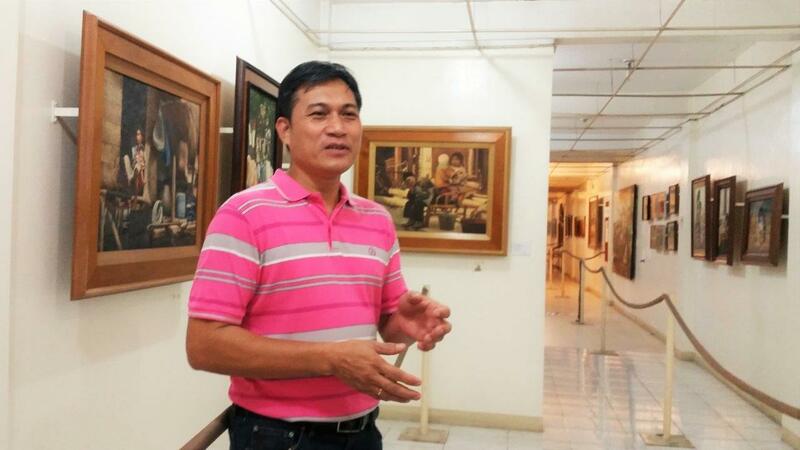 For additional info, please check this article from National Museum. 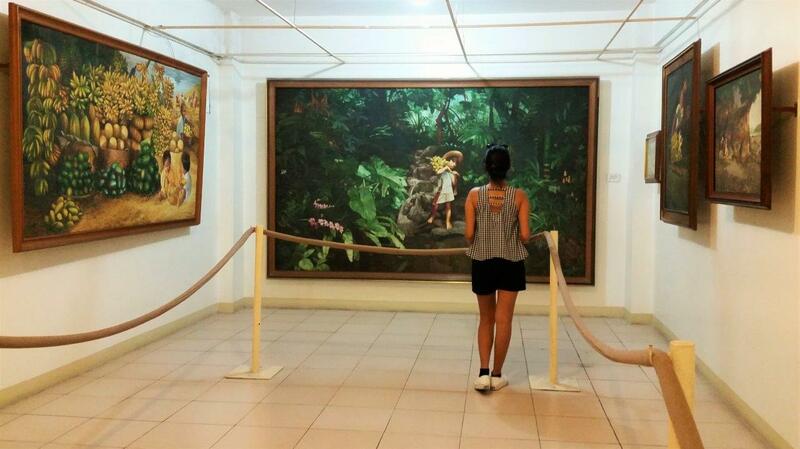 Related Blog : For other museums in Angono, check out this post by Angono resident, Celineism. Where to stay in Angono? During our 2 day tour, we stayed at Villa Jhoana, a nice resort close to the city proper. For details, please see part 1 of this post by clicking here (info on the resort is near the bottom of the page. - Note that most art galleries/museums are closed on Monday. Check the operating hours for each gallery on this post before going. However, schedules may change. You may contact the galleries on the numbers or FB page which I've also shared. 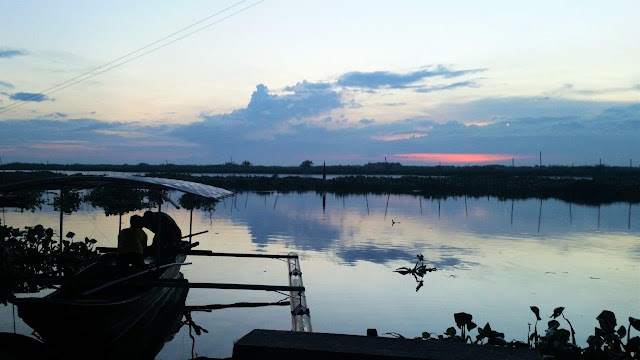 - With the exception of Angono Petroglyphs, all galleriesm including the Lakeside Park are within walking distance from each other. Wear comfortable footwear and clothing. Shout out to fellow blogger Celine Reyes and Lady of Angono Tourism for inviting us to explore Angono! Please check out part 1 of this post, Where to Eat in Angono.